Visitors will be warned about the Zombie invasion at your home this Halloween with the use of this novelty warning barricade tape. 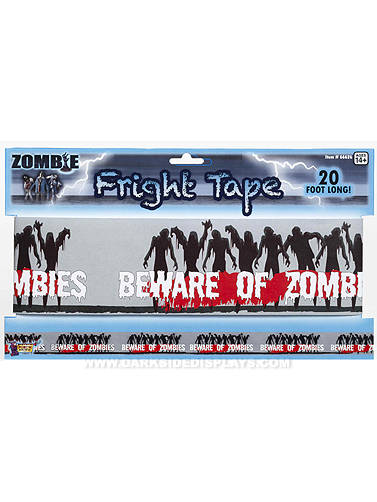 Gray plastic tape features an image of zombies and the words "Beware of Zombies." Beware of Zombies Warning Tape measures 3"H x 20' L(3 in x 240 in). Ages 14+.